Talking about India Runway Week, Day 3. Undoubtedly India Runway Week comes up with great enthusiasm. So, as this year, Various Designer showcased their collections and took the breath away. The collection were amazing. The day started with slot presented by lLisa Rai, Suprachi ,Ashnita Garg, Pooja Peshoria, CLOTHO INDIA. (Fashion Brooder Runway). The Designer showcased their latest desirable collection. The Spring Summer Collection by Ashnita Garg were inspired by female fashion croquis which are directed into gem shapes. The collection were amazing. One can easily notice the use of Zari and bead work in her collection along with light weighted fabric like Linen,Satin and maheshwari Silk. Pooja Peshoia, left no bar unturned this time also. Her collection continued to please everyone on the 3rd day of the fashion extravaganza. Her Collection was Inspired by the natural reflect India Runway Week. Suprachi’s clothes were stunning, technically lofty fabrications and ladylike sophistication, certain hauteur. Mystery is no stretch for this label. It was pretty thrilling to see the designer delve into silhouettes which were dramatic, bold and yet filled with feminine grace. Delhi based Designer- Ankur j Launches his Amun-Ra (hidden light) collection which emphasizes on Egyptian colors and prints with contemporary mix…must watch in the collection is the 5D Egyptian beetles state of the art prints and Egyptian gods while doing fine justice to the Indian art. With the collection, he raised the message of “Help Egypt Help an Heritage”. Priyamvada Couture,’ was born from the deep desire to cater to young, confident women, who define fashion on their own terms. Bollywood Actress Mugdha Godse walked the ramp for Priyamvada. Focusing on Indian Ethnic Wear, this label curate pieces inspired from her own fashion sense and her role models from among the beaming fashion industry. “Being a part of a lady on her special day is what motivates me and through my outfit I want her to feel like a queen” says Priyamvada Goel. Indo-Western is everyone’s go to for clothing these days, and we have plenty of it. Flowy cuts, easy material & detailed embroidery; our line is filled with all of these. Effortless elegance is our motto and we provide it religiously to all our customers. Sundarban by Akanksha Sarkar reflects such evergreen splendor and the surreal complexity. This collection highlights the effortless flow with luxurious drapes & superior quality of the fabrics. The indo Western silhouette of the garments enhances & signifies the bond between the east and the west. The classic lehenga paired with a cape & the tulip pants with cold shoulder top are some anomalous examples of collection. 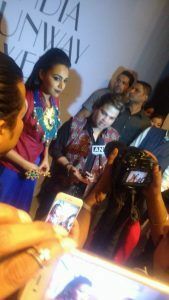 “Tribe Vibe Collectives” by Akassh K Aggarwal is an inspiration from the world of Bohemian Self Love, The Designer aims to outshine women of the society. He said – “Every Women is no less than a Durga Maa”.Women are no more weaker, they can stand against all odds. A Bow Down to all the ones who decided to live the way they wanted to, no matter how crazy the things go. 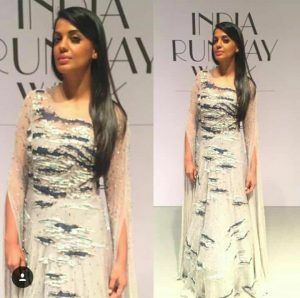 Swarna Bhaskar, Bollywood Actress walked the ramp for Akassh K Aggarwal. The collection is Vibrant that Resonates with the Symbolism of Old Tribal Art of PEROI and Jadau fine techniques in filigree motif, stamped light weight metal sheet work , embossed 3D and Metallic Gold & Silver with ORGANIC Gemstones like CORAL PEARLS TURQUOISE LAPIZ LAZZULI. Assortment of Multiple Accessories Options, gives the collection a versatility to be worn on ethnic as well with Indo Western , The time is about to be Jewelled Bold & Beautiful. The collection comes with a social message of “Changing Phase of Feminism”. Raising a Toast to those Women who defied societal norms and set their own. Embraces and celebrates the ethnicity of Indian culture with its new vibrant collection Rangbari. Florid handcrafted collection is inspired from the handicrafts of Rajasthan. The distinctive ornamented embroidery glamorizes the outfits and hues make it look elegant. Multicolor hues are playful and synonymous with festivities. Fashion designer Ritambhara Paliya is known for Luxury contemporary Indian wear couture, Ritambhara Paliya is a noted name in Indian Fashion Fraternity, whose hands are well skilled in designing outfits for women of all ages.She brought the fragrance of spring/summer in India Runway Week 2017 by showcasing her Ruffles and Chains collection. She turned many heads when Bollywood actress Shamita Shetty walked as the show stopper and represent her marvellous creation with style and grace. Ritambhara Paliya specializes in Evening gowns, lehengas, Anarkali’s and maxi dresses and also into fairytale and destination weddings attires that are rooted in quintessentially Indian sensibilities but with the modern twist. Her collection is designed using best quality fabrics like pure silk, pure chiffon and pure georgette that are promising enough to create an effortless style and emit a blissful elegance. The different shades of colors that are used like lemon green, white, off white etc giving the collection a sense divine royalty and glamour that suits many ages with style and elegance. Enriched with the fusion vision her innovation reflects sophistication infused with the Indian sensibility. Her each garment is made up with extra love and care as she believes every woman is beautiful and her designs are like icing on the cake. It makes them look more sensuous, elite and elegance and also maintain the class that every woman desired for. 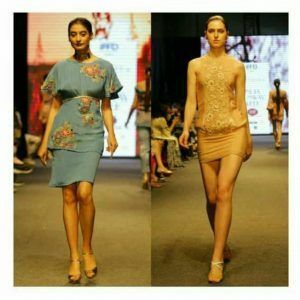 Kristy De Cunha, a well known designer in the fashion world carried out the grand finale of India Runway Week Season 8 -Kristy De Cunha who is widely known as a young emerging designer will be showcased her collection “ Gol Gol Rani Freddie Mercury”. It’s a quirky twist on Freddie Mercury. 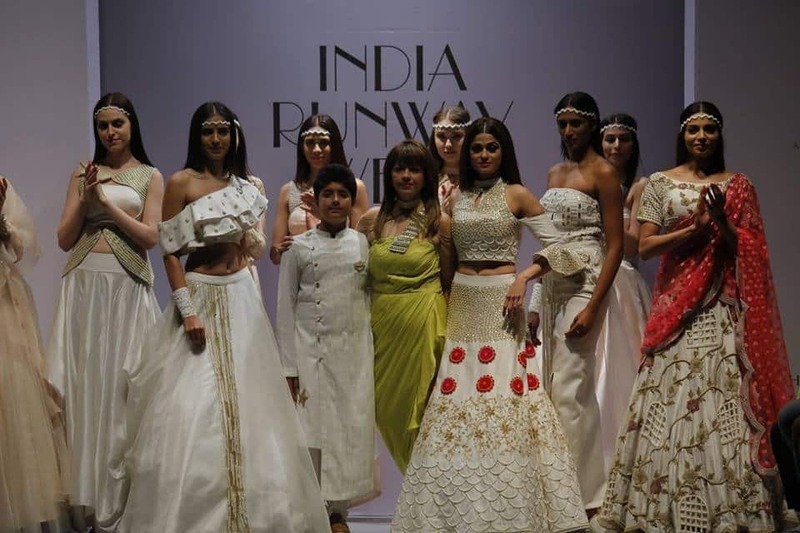 India Runway Week continued to be as confounding as every year. I had a great time at India Runway Week. Definately a event worth waiting for.